Date for release of iPhone 7 in South Korea is tentatively set for the 21st of October. 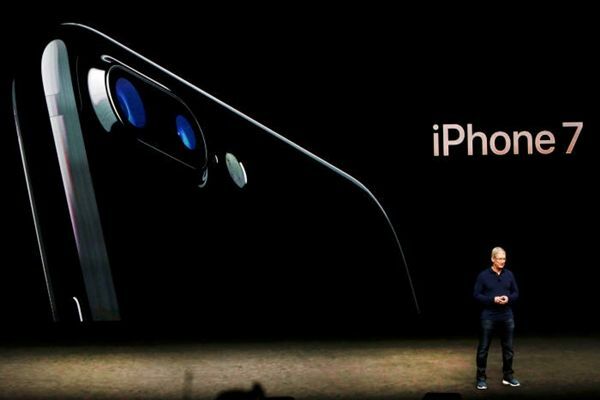 Through discussion that took place on the 29th, Apple Korea and 3 mobile network providers have decided to release iPhone 7 series on the 21st of October based on final approval from Apple Headquarters. As Apple’s iPhone 7 series are being released in South Korea, it is predicted that fierce competitions between Samsung Electronics’ Galaxy Note 7, LG Electronics’ V20, and Apple’s iPhone 7 are going to be carried out. According to a related industry, Apple Korea and 3 mobile network providers have agreed to sell iPhone 7 series through Apple Korea’s homepage and mobile network providers’ stores starting from the 21st. It will be 37 days since iPhone 7 series were released first in the U.S., China, and Japan. Apple announced iPhone 7 (4.7-inch) and iPhone 7 Plus (5.5-inch) on the 8th of September in the U.S. 3.5mm earphone jack has been eliminated and touch-type home button that responds to pressure from fingers is now installed. Apple has included black (matte) and jet-black (glossy) colors, which weren’t available for previous iPhones and chosen 32GB as base storage after eliminating 16GB model that had been receiving dissatisfactions from iPhone users. For the first time for iPhone series, it has IP67-level waterproof and dustproof functions and also has a dual-camera. Apple maintained price of iPhone 7 at $649 that is identical to its previous model. Store price of iPhone 7 (32GB) in South Korea is also expected to be similar to store price of iPhone 6S (16GB) at $789 (869,000 KRW). Some believe that iPhone 7’s few problems will prevent iPhone 7 to be successful. Consumers who already purchased iPhone 7 series are annoyed when iPhone 7 series make hissing sound due to overload. Apple has recommended consumers to buy cases as it is heard that jet-black color is vulnerable towards scratches and wear and tear. #It is important to see whether or not South Korean consumers will still buy iPhone 7 series despite these problems. As manufacturers releasing their new products one after the other, it is predicted that South Korea’s mobile network markets will be very busy and active. Beside of Samsung Electronics, LG Electronics, and Apple, SONY also released Xperia XZ that was first introduced at IFA 2016 while TG & Company, which had brought storms to mid-range phone markets last year with LUNA Smartphone, is releasing LUNA 2 .